From different generations, they both knew fame. One came to Rutherford to establish her legacy, and left only litigation. The other came to die. readers and critics as the Grand Dame of Science Fiction and Fantasy, her writing career spanned 70 years. She was the first woman to receive Grand Master Awards from both the World Science Fiction Society (1977) and the Science Fiction Writers Association (1983). Her best known works are the “Beast Master” and “Witch World” series. Born in 1912 in Ohio, she died in Rutherford County in 2005. Barry Sadler was a soldier, songwriter, author and musician. During the Vietnam War he served as an Army Green Beret medic and staff sergeant. The 1966 recording of his original “Ballad of the Green Berets” was #1 on the Billboard chart for five weeks, sold over a million copies, and was used in a John Wayne movie. He authored the fictional “Casca” series about the biblical character who stabbed Christ during the crucifixion and was condemned to remain a soldier till the Second Coming. Born in 1940 in Carlsbad, NM, he died in Rutherford County in 1989. Alice Mary Norton was born and schooled in Cleveland. “Being a late child,” according to one biographer, “she never developed close relationships with siblings or contemporaries.” Her parents encouraged her to read, recite and write. While in high school she wrote numerous short stories and her first novel, “Ralestone Luck.” At Western Reserve University she studied history, journalism and writing. In addition to her writing, she pursued a career as a librarian, first in Cleveland and later with the Library of Congress in Washington, D.C. From 1950 to 1958 she worked for Gnome Press. Following that employment, she became a full-time, professional author. Alienated outsiders undertaking a journey through which they realize their full potential is a recurring theme in Norton’s stories. Without profanity or excessive violence, Norton crafted tense, dramatic “rites of passage” tales in which protagonists of many ethnicities show “their integrity and valor, and the value of all living things is affirmed,” according to one literary admirer. Long before Harry Potter, Norton penned “Witch World,” and created a fantasy kingdom that produced some 30 sequels. In 1966 Norton settled in Winter Park, Fla., and it was there that she wrote most of her novels and short stories. (The home of this “Winter Park resident and renowned sci-fi/fantasy author” was included on visitor tours of Winter Park.) It was also during this period that she and several literary colleagues developed plans for a “genre writers” research and reference library” that would be Norton’s enduring legacy. Named for the southern region of Norton’s fantasy Witch World, “High Hallack,” the library was to be established on “seventy acres in the mountains of Tennessee” (near Monterey). Norton relocated to the Tennessee site in the mid-1990s, but a lack of funds and a cancer diagnosis for one of her partners forced cancellation of plans (which included a castle-like structure) for the research library. In 1996 Norton arrived in Murfreesboro along with her friend and assistant Dr. Rose Wolf Kimbrough. Within a year Norton had purchased residential property on Eventide Drive and a less ambitious “High Hallack” was established in the large garage. In a 2001 article about Norton and her library, John Snider explained that Dr. Rose Wolfe Kimbrough and her husband, Larry Kimbrough, “live with Norton (in Murfreesboro), looking after her and supporting her literary endeavors (including the High Hallack library).” At some point Kimbrough hired a local resident, Sue Stewart, to assist with Norton’s physical care and housekeeping. In 2004, Kimbrough and Stewart had a “falling out” and Kimbrough resigned, leaving Stewart with full responsibility for Norton’s business and personal needs. As the author’s health declined, Stewart was given “power of attorney” and oversaw closing of the library with most of the contents sold out of state. Eventually, Norton was moved into Stewart’s home in Smyrna (expanded with some of Norton’s funds). During this period, the Eventide property was sold and Norton’s will was revised making Stewart the executor and residuary legatee. After Norton’s death in 2005, a Houston beneficiary under the will (a longtime friend and fan of the author) challenged Stewart’s interpretation of certain will provisions. Perhaps sensing an element of “undue influence” on the part of the former housekeeper, the Rutherford Chancery Court awarded all posthumous copyrights and royalties to the Houston beneficiary. (The appraised current value was approximately $250,000.) The appeals court, however, reversed in favor of Stewart. As of July 22, 2010, a final order was still pending. Sadler’s parents divorced shortly after his birth and his father died of cancer soon thereafter. While a child, Sadler traveled about the southwest as his mother worked temporary jobs. He dropped out of high school in the 10th grade and hitchhiked about the country. At 17 he joined the Air Force, trained in radar, and was stationed in Japan. Completing his USAF duty, Sadler joined the Army hoping for a more exciting military career, and qualified for the Special Forces (“Green Beret”). While serving in Vietnam he was injured on a “punji stick” and developed a severe infection that required months in the hospital and in rehabilitation. During this period, he wrote his famous ballad. 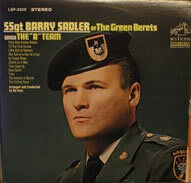 “The Ballad of the Green Berets” won a gold disc for Sadler in 1966. Two years later when the book “The Green Berets” by Robin Moore was made into a movie starring John Wayne, a choral arrangement of the ballad was used as the title song for the film. The ballad also gave Sadler his television debut on “The Jimmy Dean Show.” Using the ballad as the lead song, Sadler made an album of original songs about soldiers serving in combat. The album sold a million copies in five weeks, but none of the other songs became popular hits. Longinius, through to the 20th century. 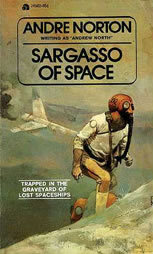 Of the 31 books in this series, however, Sadler wrote only the first few. The others were farmed out to ghostwriters and published under Sadler’s name. In 1978 Sadler shot and killed Lee Emerson Bellamy, a country songwriter (“I Thought I Heard You Call My Name”) and manager for Marty Robbins, George Jones, Jimmy C. Newman and others. Bellamy, the estranged boyfriend of a woman Sadler was dating, was reportedly harassing or taunting Sadler. Sadler claimed self-defense, saying he thought Bellamy reached for a weapon (the former Green Beret shot first). On a plea to voluntary manslaughter, Sadler was sentenced to five years with the time suspended except for 30 days and two years probation. He eventually served only 22 days in the Tennessee penitentiary. 1988 he was shot in the head while riding in a taxi. Some believe the incident was a robbery. Others say that he was assassinated for allegedly training and arming the Contras. Sadler was airlifted to the U.S. by friends with “Soldier of Fortune” magazine. He was in a coma for several months, and died a year later at the York VA Medical Center in Rutherford County. Greg Tucker can be reached at gregorytucker@bellsouth.net.